Drumsticks are cooked till soft either in boiling water or covered in a pan. They are then briefly fried and seasoned with spice powders. Serve masala drumsticks with steamed rice and dollop of ghee. Makes: 25 Pieces of Masala Drumsticks. If using fresh drumsticks, slightly peel and chop the drumsticks into around 3 inch long pieces. Boil them in water till drumsticks are just soft. When mustard seeds start spluttering, add the cooked drumsticks. If using frozen drumsticks, wash them under water and add to the above pan and cook covered on low flame till drumsticks are cooked and change color. Fry the drumsticks till they start to turn golden brown around the edges. Stir in garam masala powder, turmeric powder, red chili powder and salt. Remove from heat immediately and serve masala drumsticks with steamed rice and dollop of ghee. Notes: Make sure drumsticks are cooked well before adding the spice powders. Variations: Check other drumstick recipes here. 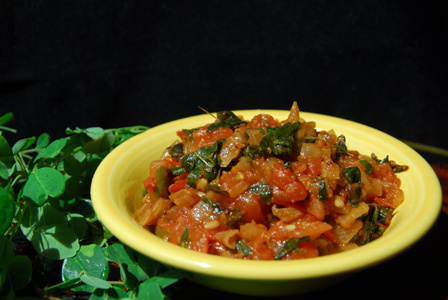 Onion and tomato are chopped and cooked in oil along with whole spices. 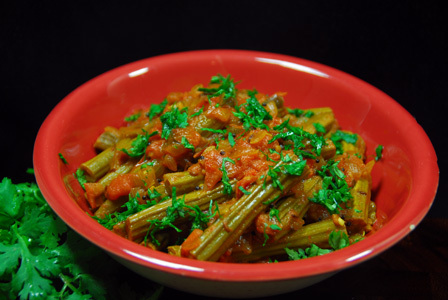 Fresh or frozen drumsticks are cooked with tomato onion mixture. Serve drumstick tomato curry with steamed rice. Makes: around 2 Servings of Drumstick Tomato Curry. Fry till onion turns translucent and start to turn golden brown. Stir in chopped tomato, turmeric powder, red chili powder and salt. Now add the drumsticks and cook covered on low flame for around 15 minutes or until drumsticks change color and cooked well. Add few splashes of water if necessary while cooking. Garnish with cilantro and serve drumstick tomato curry with steamed rice. Notes: Make sure to cook the drumsticks well. Suggestions: Add a big pinch of garam masala at end if desired. Variations: Check other recipes with drumsticks here. Other Names: Drumstick Tomato Curry, Mulakkada Tomato Kura. 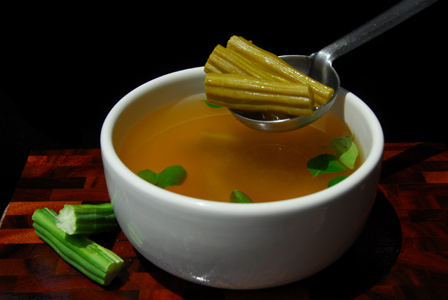 Drumstick leaves are used widely in south India for the leaves having a high medicinal value. In this drumstick leaves curry, drumsticks are cooked along with onion and tomato. Poppy seeds are soaked in water for sometime and ground into fine paste. This poppy seeds paste is usually paired with drumsticks or drumstick leaves. Place drumstick stalks in between two fingers and slide to separate drumstick leaves from stalks. Clean and thoroughly wash drumstick leaves. Remove stem, wash and slice the green chile. When urad dal changes color, add chopped onion and fry till onion turns translucent. Then add green chile, ginger garlic paste, poppy seeds paste, tomato, coriander powder, turmeric powder, salt and drumstick leaves. Cook covered until tomato turns soft and drumstick leaves wilt. 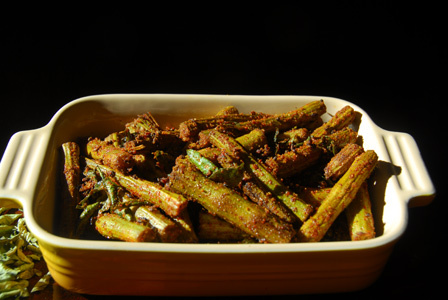 Serve drumstick leaves curry with steamed rice or with roti. Notes: Make sure to adjust the consistency of the curry by adding water. Suggestions: If curry is too dry, add another tomato or some water and cook on low for a minute. 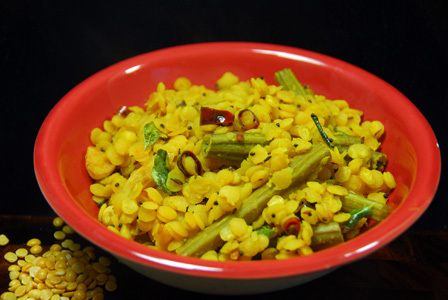 Variations: Drumstick Leaves Stir Fry, Drumstick Leaves Dal. Other Names: Murungai Keerai Curry, Munagaku Tomato Kura. Heat 3 cups of water in a sauce pot, add drumsticks, tamarind, jaggery and salt. Boil until drumsticks cook from inside. Then stir in fenugreek seeds, urad dal, cumin seeds, mustard seeds, curry leaves, asafoetida, turmeric powder and ghee. Serve drumstick rasam with steamed rice and dollop of ghee. Notes: Alternatively, fry the talimpu in ghee before adding to boiling rasam for different taste.